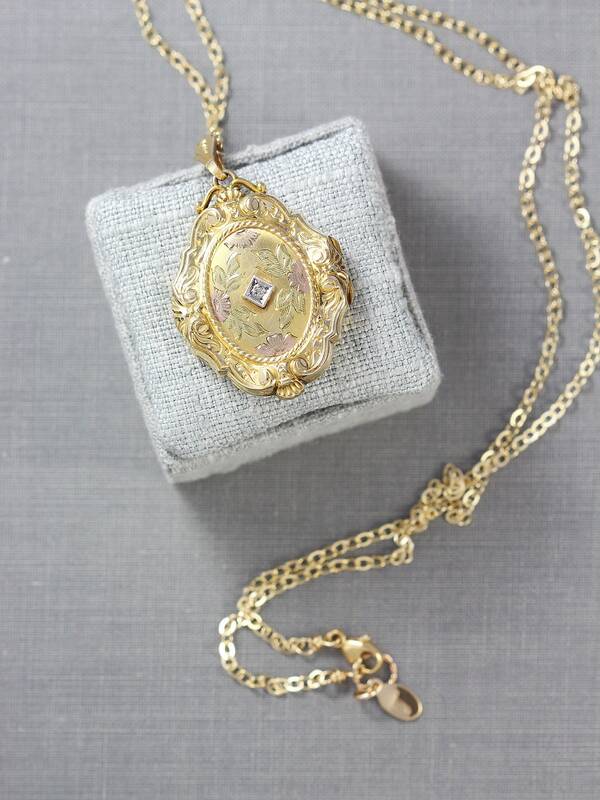 A gorgeous antique gold filled locket is fashioned with so much detail. 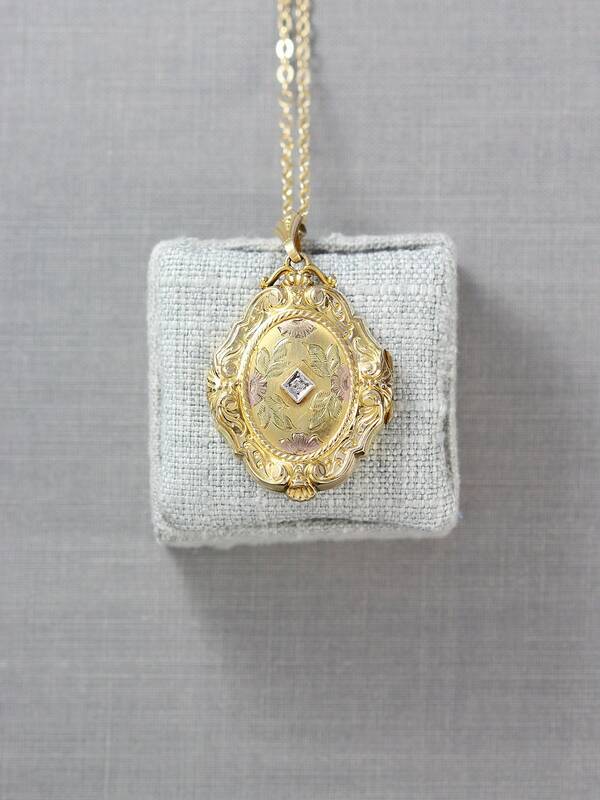 The ornately embossed border graces the soft edges of this slightly scalloped oval locket. 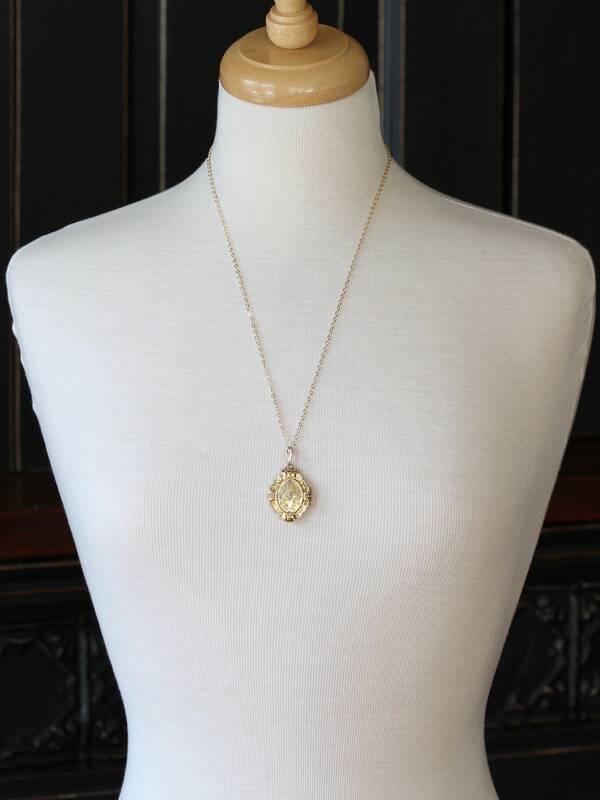 The center is set with a diamond (untested but I believe this to be a real diamond) in a white gold center with subtle floral engraving bordering the diamond. The design is topped with filigree detail with the border and pinstripes decorating the back. 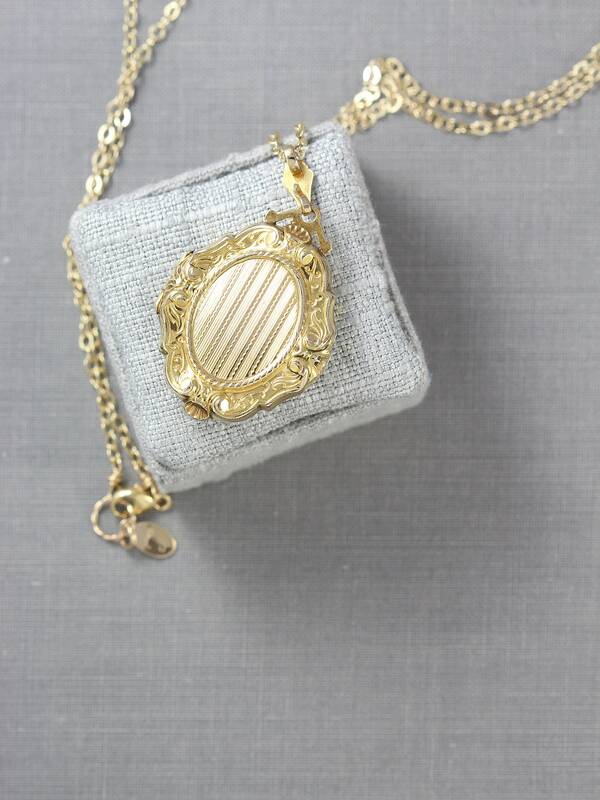 The rare 10k gold filled locket opens to reveal two removable frames ready to hold your beloved photographs. 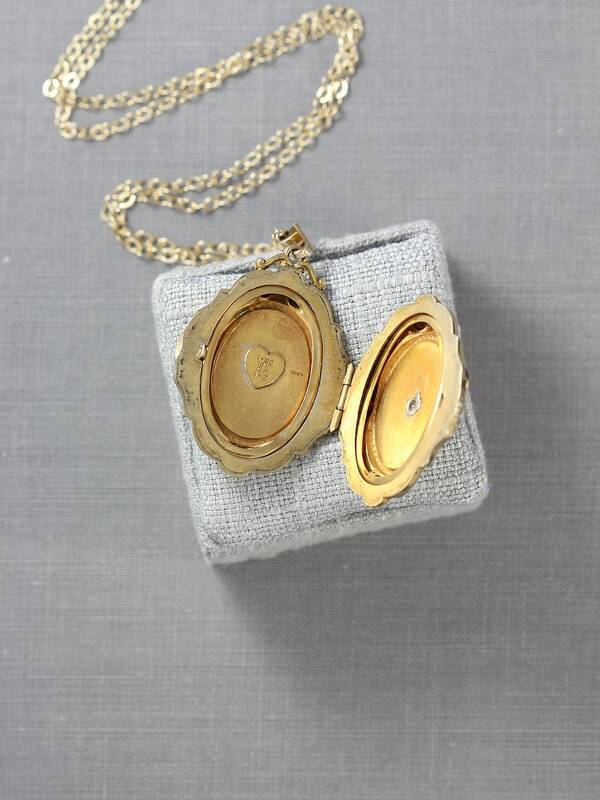 The locket dangles on a new 14k gold filled chain hand finished with a 14k gold filled trigger lobster clasp and ring.